He pronounced a healthy scalp and healthy hair that was just a wee bit dry. He was surprised that I didn’t colour my hair (it’s been years and my hair’s all natural and yes, it’s brown) nor did I treat it in one way or another. I’ve been there and done that. I’m not going back till I turn grey 😛 In the end, we settled for a Moisture Treatment. I’ll just quickly tell you what to expect and if you’re looking for a natural option to all the chemicals you put on your hair and head, you might want to check out Aveda treatments. The treatment starts with a cup of special Aveda tea that is very calming and soothing to the throat. Once your hair concerns are sorted and the treatment decided, you are treated to a very very lovely sensorial experience with the Aveda Blue Oil. This has a refreshing and uplifting peppermint scent and cuts through the fog in your head while calming you down. You then get a very lovely neck and shoulder massage. Mmm…. Oh ok, where was I? After the massage, the Scalp Remedy is applied to your scalp section by section and carefully massaged in so you get a very very lovely and fairly head massage as well as the product is massaged into your scalp! You are then led off to have a wash.
Coming back, your hair is then treated to Dry Remedy treatment enriched with buriti and pomegranate oils to leave hair looking and feeling silky and soft, which is again massaged into your hair section by section. Then, your head is stuffed into a contraption to steam your hair, like so. Once the timer dings, you go back for a hair wash and then your hair is blow dried and Dry Remedy oil is applied to keep your hair feeling and looking swishable. The thing is, I don’t have long hair so I can’t do any swishing, but my hair took on a softer, less structured look. When I ran my fingers through my hair, it would fall back nicely into place although I found the fringe a little too floppy for my liking. But still, it was nice and my head felt light and I can imagine that if you have longer hair that is prone to frizziness, it would be a lovely feeling to have your hair fall straight and smooth instead of fanning out like a lion’s mane. I was told also that regular treatment would be helpful for those who do have a problem with dry and frizzy hair and that’s true of all treatments. The only thing is that you may find the scents take some getting used to. Being botanical based, Aveda hair products have an earthy, herbal scent that may not sit well with every nose. I found it pleasant and if you like essential oils, you may too. But if you don’t, then you probably won’t like this because the smell will linger and is quite strong. As for how long it lasts, it lasted me about 3 days before my hair lost its floppiness but I must note that I wash my hair daily, and in that time, I started swimming almost daily and we know just what chlorine does to hair right? Yes it kills it 😛 So don’t use my experience as a yardstick. 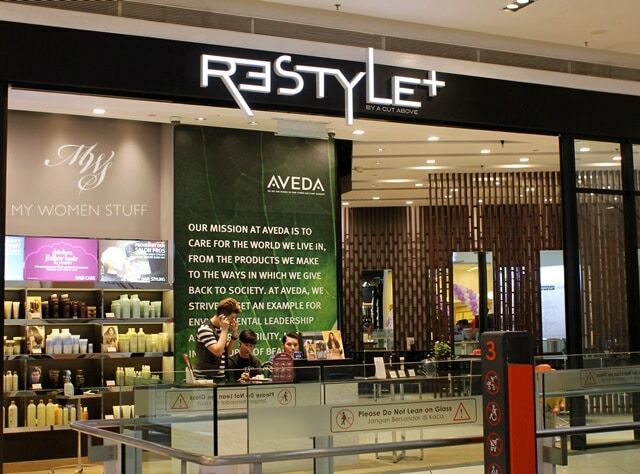 I had my treatment done at Restyle+ hair salon at Nu Sentral, which is an Aveda exclusive salon in that they only use Aveda products. You can also buy products for them and I picked up a Dry Remedy Oil as well. 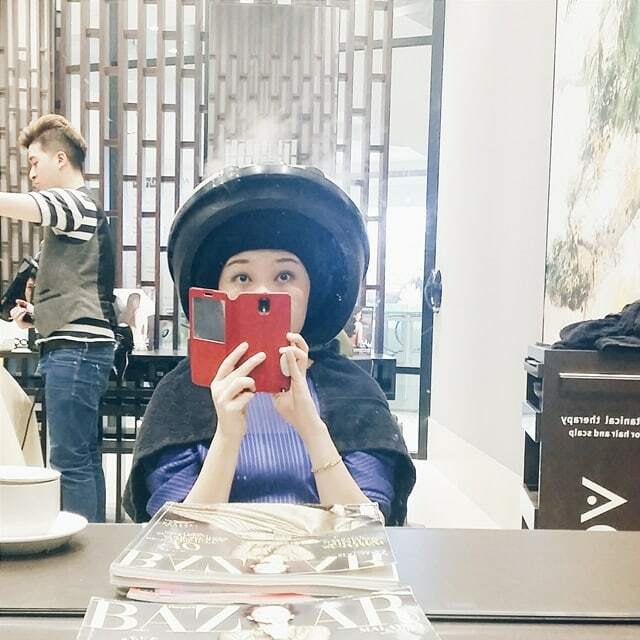 The treatment costs between RM130-180 depending on hair length. 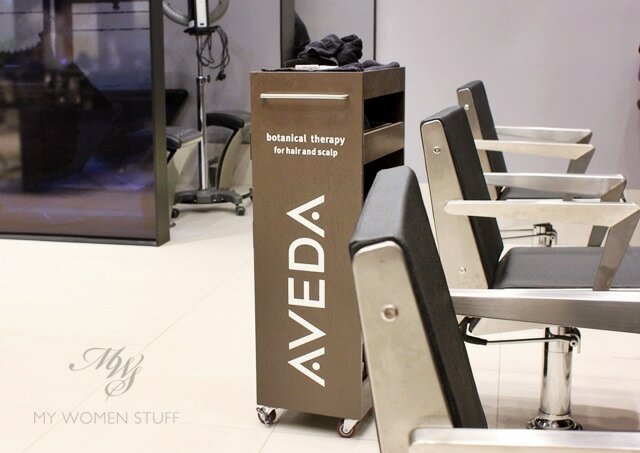 There are a few other Aveda exclusive salons where you can get a treatment done if you like. You can find them at this link so if you’re interested, head to a salon closest to you and make some enquiries. 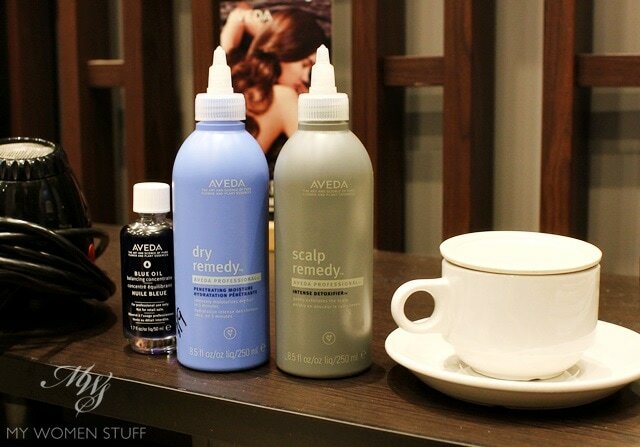 Are you an Aveda haircare fan? Have you had their Botanical Treatments done before? Disclosure: Featured treatment was complimentary. Our commitment is to honesty and fairness. For posting guidelines please read the disclaimer. OK I hate you >_< I have fine hair with a scalp that oils up super fast! I NEED to use shampoos that control oil production at the roots or I'll be losing hair. That said, the good thing is, my straight hair always looks shiny…. because frizz just never happens. LOL! all I can look at it that awesome picture of you with that medusa hat D: that picture is awesome!! non of the aveda products worked for me, sadly. I got itchy scalp and all that jazz. I hate my hair now and growing out my bettie bangs so I won’t even talk about my hair lol. I love the blue oil and one of their tea. But that’s about it. I’ve been loving the Living Proof hair products to bits (not a botanical brand/Jennifer Aniston related/ available at Sephora) but rarely do i compliment a hair related brand. Do check it out. Living Proof you say? I think I’ve seen it around. Will take a peep next time! Blue Oil really smells amazing but I can’t imagine when I’d find use for it otherwise. I’m so envious of your well-balanced head of hair! I’ve heard so much about Aveda as a departure from the traditional hair salon and would love to make some time to try their services one day. Sounds nice! Have you tried Rene Furterer in Pavillion? They have hair and scalp treatments too but they’re more expensive (nearer to RM200 and above). I thought the service was really good! On a side note, I saw Bourjois cosmetics in Watsons One Utama and Bioderma at Watsons in IOI mall recently, no need to go overseas to buy anymore! Gosh..u looked super cute wth that steaming going on Miss P.. U made my day..